In honor of April's birthstone, we have yet another blog about diamonds. 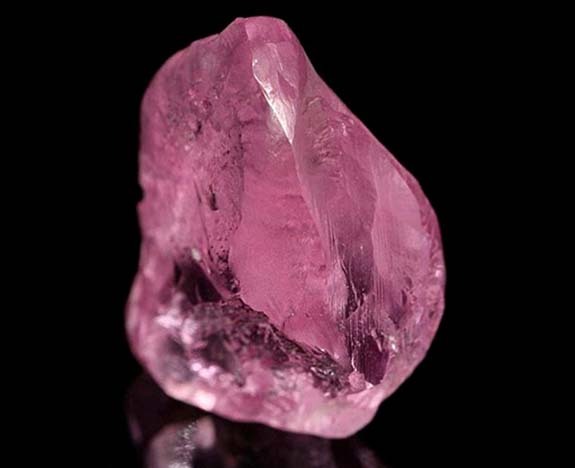 Today we write about the Letšeng Mine in the tiny African country of Lesotho; which is back in the news after luxury jeweler Laurence Graff paid $8.8 million, or $656,933 per carat, for a 13.33 carat pink diamond sourced there. The per carat price was a record for any Letšeng diamond. Red and pink diamonds are the most valuable diamonds in the world. Hot on the heels of that first announcement, Gem Diamonds; the majority stakeholder at 70% in Letšeng; disclosed that the prolific mine had yielded a 161 carat, white color, Type IIa gem. If you're a fan of fabulous diamonds, you may already know that the Letšeng Mine is famous for producing large, exceptional diamonds and generating more dollars per carat than any other kimberlite diamond mine in the world. 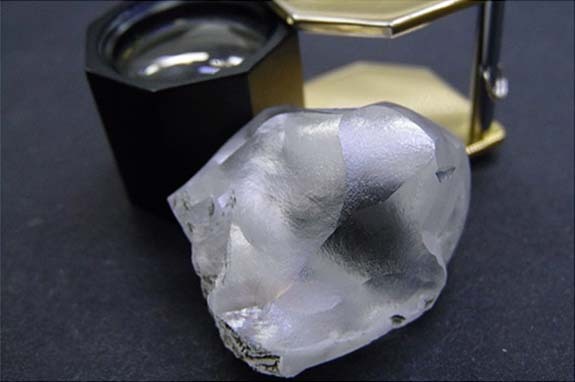 In fact, a little over a year ago, Letšeng made headlines when it revealed an amazing 910 carat D color, Type IIa diamond. Technically a color grade of D means that the diamond has no color at all; the rarest and most valuable of all diamonds. As the fifth largest gem quality diamond ever recovered, the Lesotho Legend was eventually sold for a whopping $40 million. Gem Diamonds reported that Letšeng in 2018 yielded 15 stones weighing more than 100 carats each, a record for the company. By comparison, it produced seven diamonds larger than 100 carats in 2017. And while the mine is best known for its flawless white diamonds, Letšeng is starting to make its mark in the world of fancy-colored diamonds, as well. Despite its diminutive size (it's about the size of Maryland), the landlocked country of Lesotho at the southern tip of Africa is a powerhouse in the diamond world. Miners at Letšeng recovered 126,875 carats in 2018, up from 11,811 in 2017. The average per carat value of the rough diamonds rose over that same period from $1,930 to $2,131. Letšeng has the distinction of being one of the world's highest diamond mines. Its average elevation is 10,000 feet (almost two miles) above sea level.